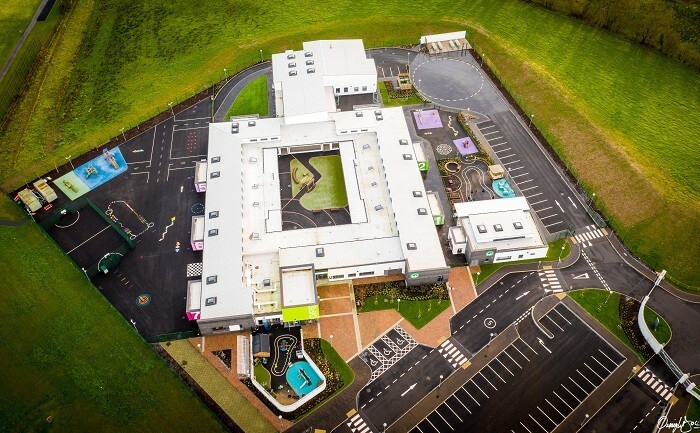 TODD Architects have recently completed the newbuild Omagh Integrated Primary & Nursery School, which combined with the adjacent existing Drumragh College, forms the first Integrated Education Campus serving the Tyrone region. 2020 Architects have a strong belief in the importance of the brief and understanding our clients in order to provide them with the houses that they are often unable to articulate. 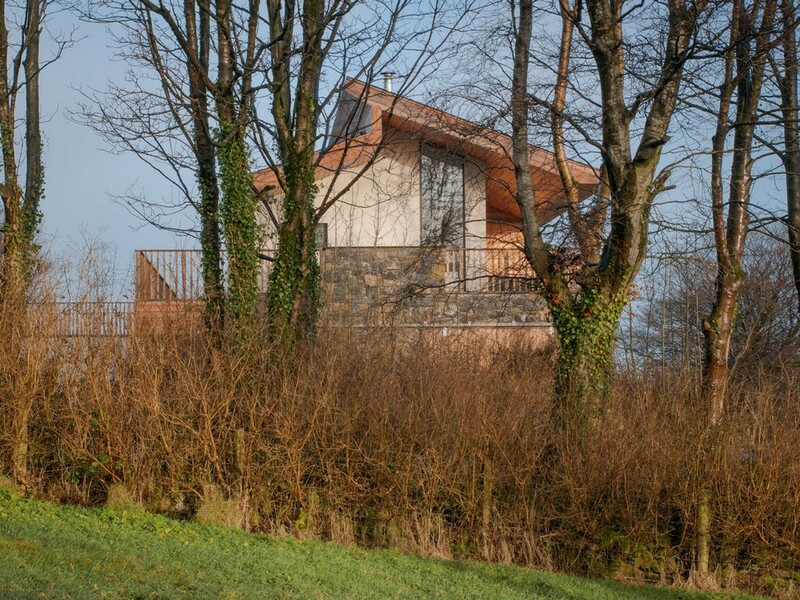 Completed for the Western Health and Social Care Trust, TODD Architects carefully designed Rathview to break down traditional, preconceived ideas of mental health facilities, offering a fresh, residential approach in a peaceful countryside setting. This new Northern Irish building is designed around a welcoming, three storey entrance atrium, stepping down to a two story block formed around an external courtyard space. The atrium and courtyard create a highly legible layout, providing clear user wayfinding and orientation, while maximising opportunities for natural ventilation and daylight. 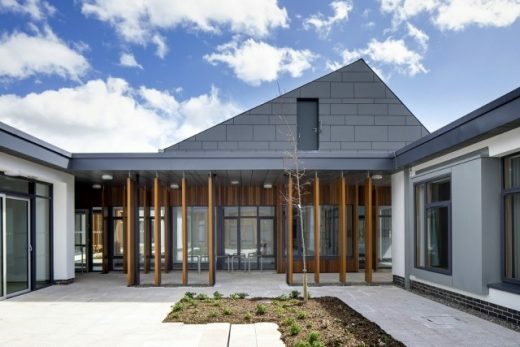 Architectural practice Keppie Design has completed and handed over The Willows, an Intensive Support Unit for vulnerable children, in Ballee, Ballymena, on behalf of the Northern Health and Social Care Trust. Keppie was commissioned to design the £1.2m centre, extending to 6,300 sqft, to provide residential care for up to six children who have been identified as having complex and challenging needs. 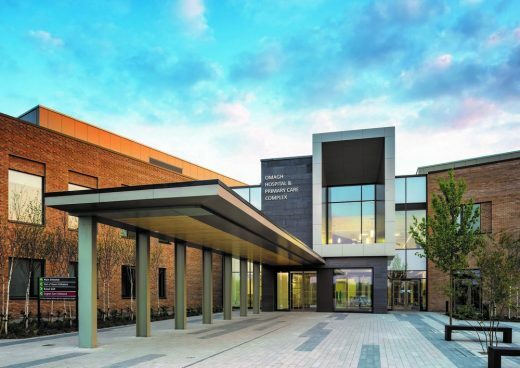 FCC, the Spanish infrastructure and environmental services company, was honoured last night with a Silver Green Apple Awards for Built Environment and Architectural Heritage for their first UK project – the South West Acute Hospital in Enniskillen, Northern Ireland. The news comes a week after FCC was named preferred bidder for the £600 million Mersey Gateway Bridge project. Construction is about to start on the next phase of Avanti Architects’ radical overhaul of Ulster Hospital at Dundonald, a major acute hospital serving the Belfast area. Enabling works – which will allow the existing hospital to continue to operate without disruption – have been completed and, with the appointment of Graham-BAM Healthcare Partnership as contractor, construction is now beginning on a new 288-bed ward block. 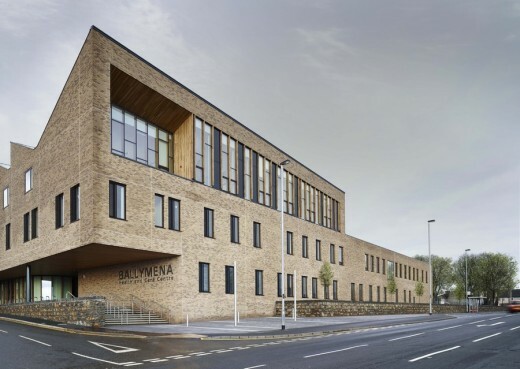 Leading architectural practice Keppie Design has completed and handed over The Rowan, at Antrim Area Hospital in Northern Ireland on behalf of Northern Social Care Trust. 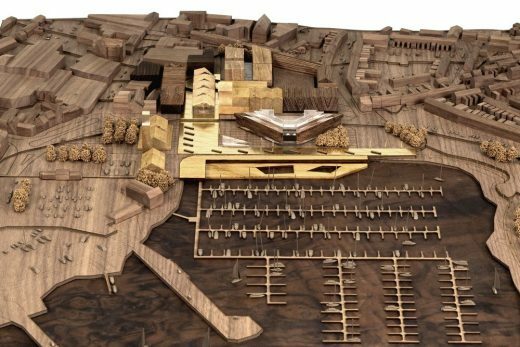 A Feilden Clegg Bradley Studios design for the University of Ulster’s new Belfast City Campus has received planning permission. The campus is part of a £250m higher education project to provide 70,000 sqm of central teaching, faculty and social learning accommodation across three linked sites in the Cathedral Quarter of Belfast city centre. This is a civic building with a public face and a clear and direct internal organisation that relays the narrative of the past and the security in which it is being preserved for the future. The records are held within a concrete citadel that is wrapped by well day-lit spaces containing the reading rooms and circulation. This major addition to a double-bay, detached Victorian villa, is tucked away from the street and is seen in the context of the rear off-shots and extensions of suburban Belfast. In 2003, the Lyric held an international architectural competition and selected O’Donnell + Tuomey as architects to design a new theatre facility. The development included the demolition of the existing theatre and the construction of a new building for use by the Lyric providing auditorium, rehearsal and studio theatre together with related technical facilities. Further accommodation includes reception, bar / foyer, offices and an education room.